This activity is geared towards South Carolina's third grade social studies standards. This product contains an easy to make diorama for the following explorers: Hernando de Soto, Jean Ribault, Juan Pardo, William Hilton, and Dr. Henry Woodward. 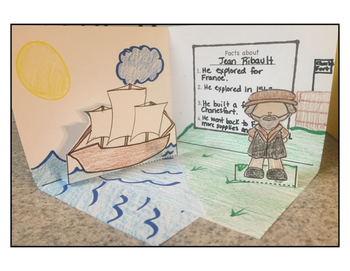 The students will write facts about a particular explorer and add details to the background of the diorama. 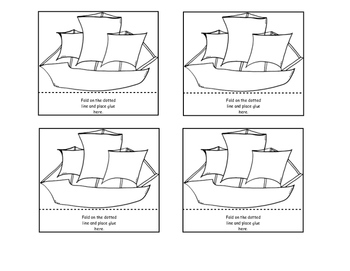 The students will color and cut out a boat and the explorer to paste into the diorama. You may have your students focus on one explorer or all five. 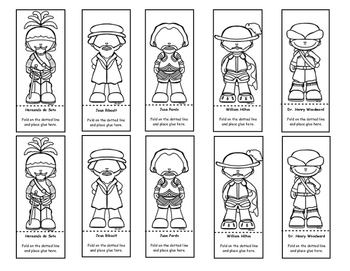 Your students will enjoy using their creativity when doing this activity! 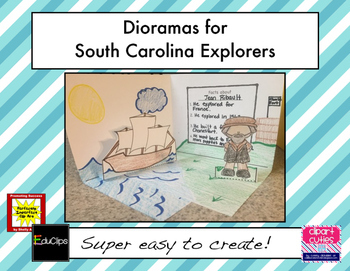 This activity is now a part of my South Carolina Explorers Bundle!